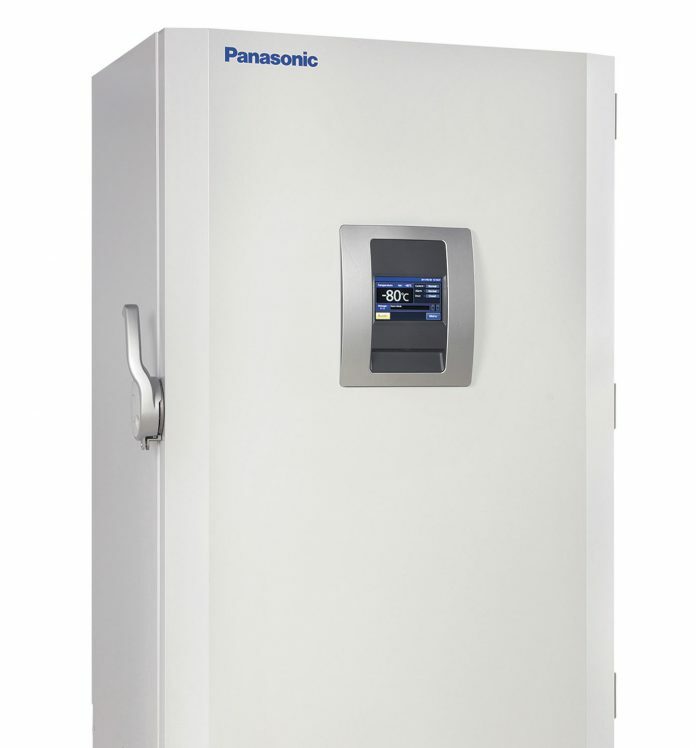 Panasonic Healthcare has introduced the VIP ECO freezer, a new -86°C ultra-low temperature freezer designed to operate on natural refrigerants. Intuitive internal monitoring and feedback systems are designed to optimize component performance, maintain balance between power consumption and temperature control, and to assist facility users in meeting environmental sustainability goals. The interior volume of 25.7 cu. ft. (729 L) accommodates many existing inventory racks in use in other freezers, permitting quick transfer with zero downtime. Other features include: Fast pull-down to -80°C and fast recovery following door openings; tight interior uniformity minimizes uncertainty; patented VIP Plus cabinet insulation slows warm-up during power outage; internal heat exchanger increases performance, tolerates high ambient temperatures; smart controls with full-color LCD touchscreen GUI mounted at eye level; USB data port; graphical snapshots for temperature performance, and other parameters.